Here is a selection of my personal best photographs taken during our Day of the Dead Photography Expedition in Oaxaca, Mexico, from October 28 through November 4, 2012. Over the next weeks, I will share the photos of all our workshop participants. 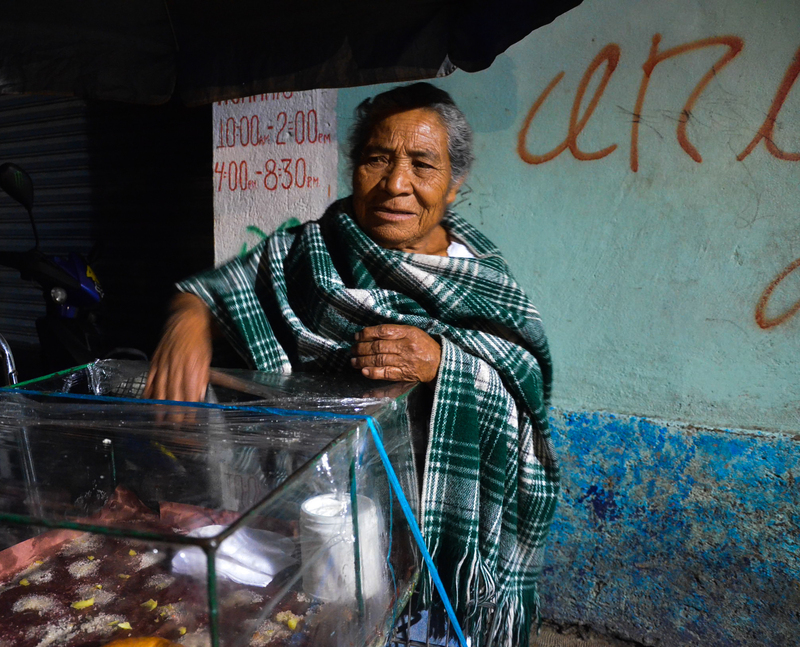 The range of our work with differing points of view provide an in-depth visual journey into the extraordinary experience of being in Oaxaca during Muertos. Photo 1: The Red Quinciniera. Street life presents itself randomly. 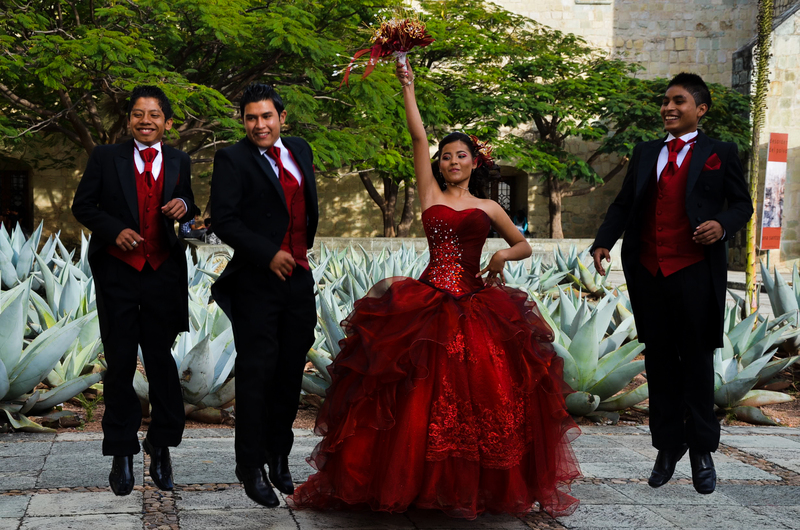 Here, a quinciniera celebration in front of Santo Domingo Church was in full swing and I got these boys jumping for joy as she is splendidly triumphant. Daily culling of hundreds of photographs to yield the best ten or fifteen is a challenge. To then bring that down to the best ten or fifteen for the entire collection of a week of work is daunting. That is what each of us was asked to do as we received daily feedback from our instructor Bill Bamberger and fellow participants. This helped in the selection process. It also helped to use a ranking system in either Photoshop/Bridge or Lightroom to make the task a bit easier. 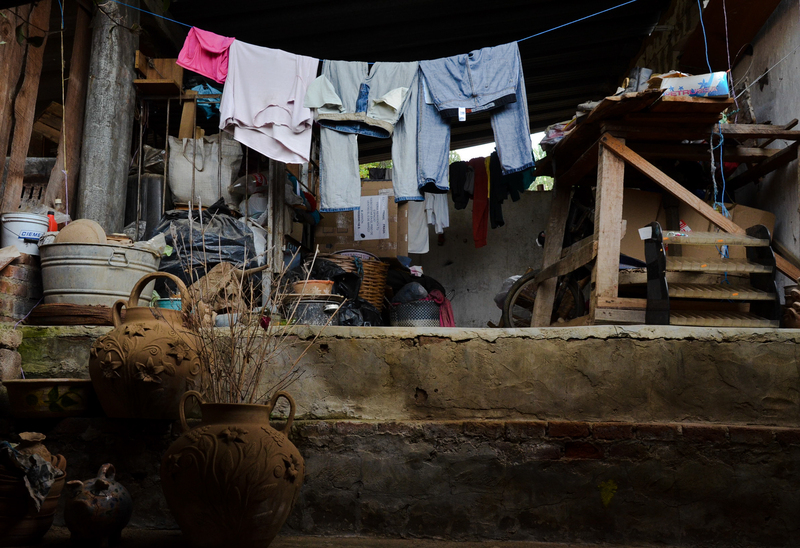 Photo 2: In the pottery village of Santa Maria Atzompa, we stopped to visit the taller (workshop) of Luis, the son of famed, deceased potter Teodora Blanco. Atzompa Laundry with Vessels was the result. Photo 3: The Donut Vendor was on the Xoxocotlan main street between the Panteon Nuevo (new cemetery) and where our van was parked. There were two left. Cream filled and delicious. 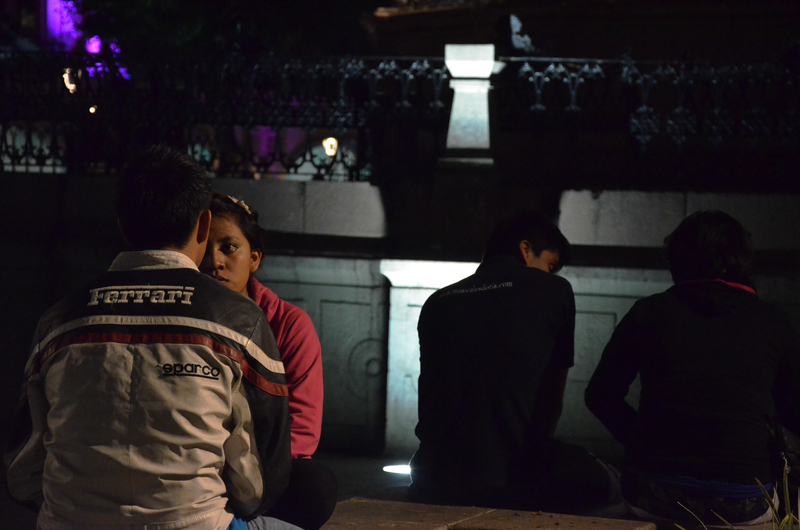 Photo 4: Love on the Zocalo, Oaxaca, Mexico. She only had eyes for him and they never waivered, even though I paused not more than ten feet away for a series of night shots with my tripod. My ISO was probably bumped up to 6400! 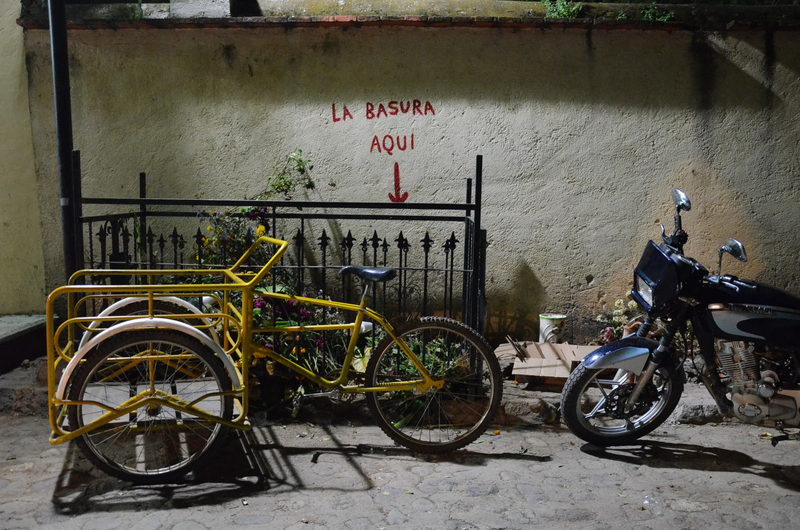 Love is everywhere on the streets of Oaxaca. It’s infectious. 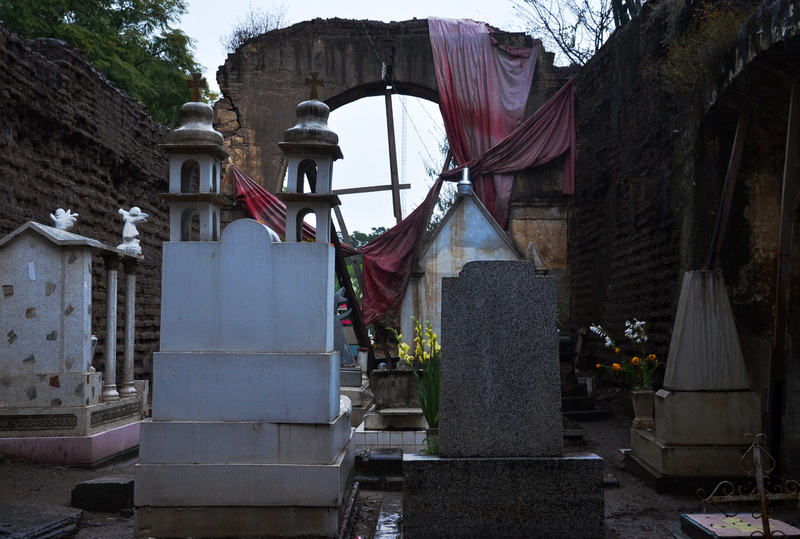 Photo 5: Red Drapery, Panteon Antiguo, Xoxocotlan. The ancient 16th century cemetery is mysterious, almost an archeological site. At 5 p.m. it began to rain. Huddled under an ancient archway, I sought shelter and found this scene. 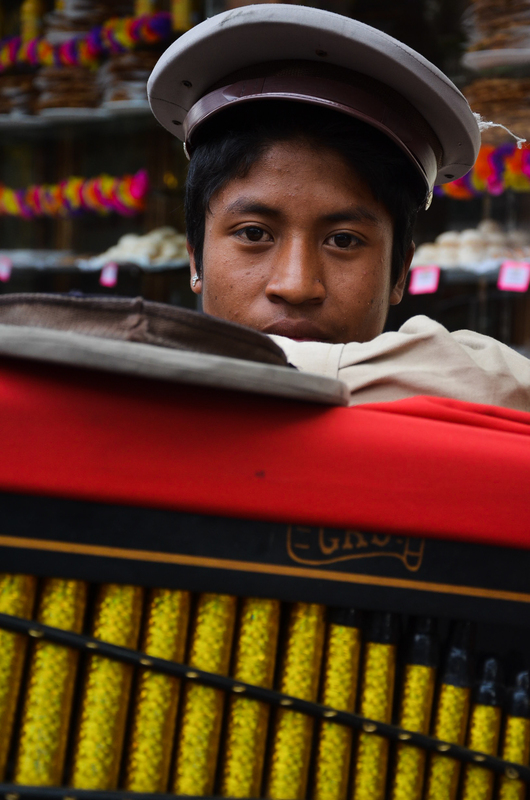 Photo 6 (left): Hurdy Gurdy Player, Mexico City. He may have been as old as twelve or fourteen, with extraordinary eyes. 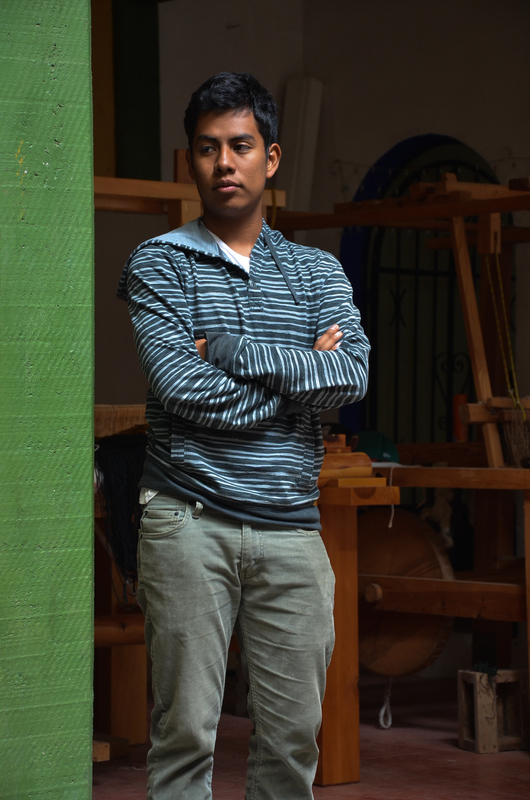 Photo 7 (center): Omar Chavez Santiago Portrait, Teotitlan del Valle, Oaxaca. 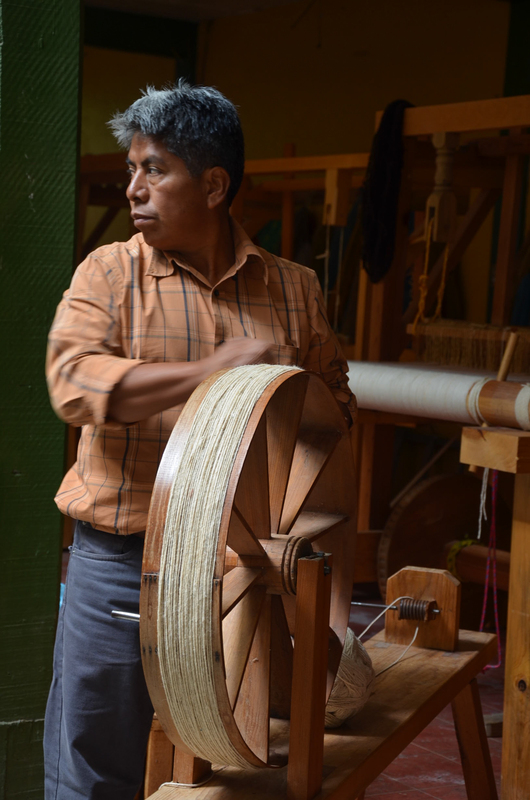 Photo 8 (right): Federico Chavez Sosa Portrait, Teotitlan del Valle, Oaxaca. 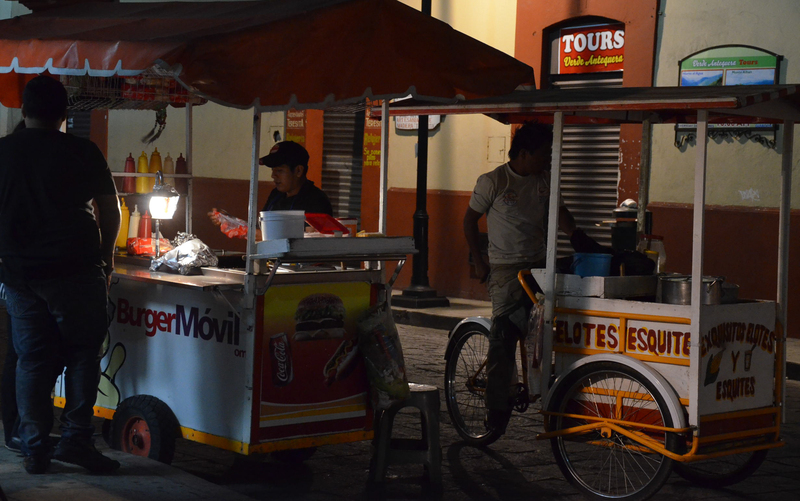 Photo 9 (left): Food Trucks Oaxaca Style at Night. Photo 10 (right): Reflections of El Sueño de Elpis, Maurico Cervantes’ multimedia art installation, Oaxaca. 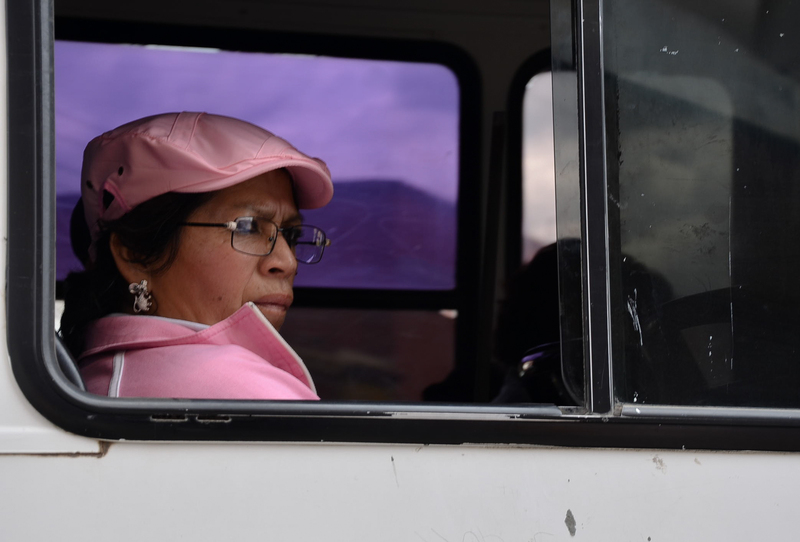 Photo 10 (left): Lady on the Bus. For this one, I nearly got my foot run over as the bus careened around the corner as we were standing on the curb ready to cross. Glad I had my camera handy! 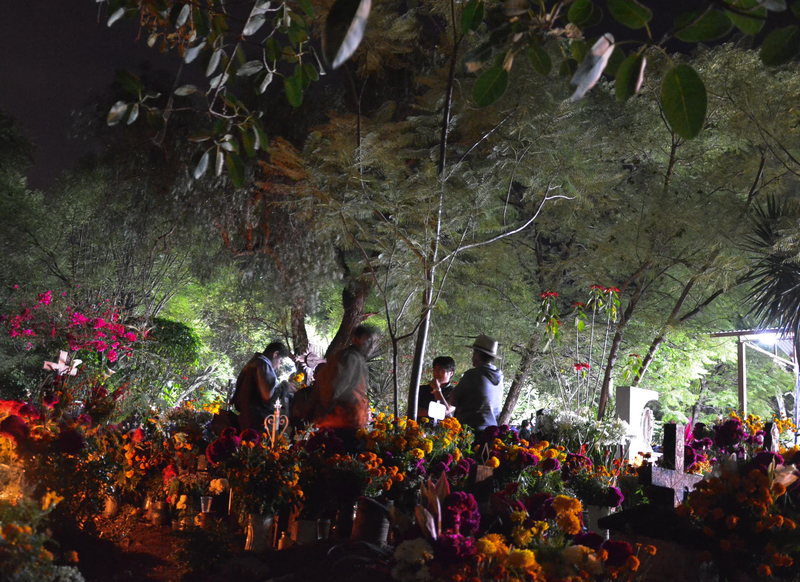 Photo 11 (right): Garbage Goes Here, recycling outside the cemetery in Teotitlan del Valle the night of the village vigil on November 2, All Souls’ Day. Photo 12: Panteon Jungle, Teotitlan del Valle, Oaxaca. Standing vigil at the grave site of Augustin Ruiz’ mother. The backlight gives the trees an eerie feeling of being in a jungle and captures the ethereal mood of the place. I am taking reservations now for the 2013 Day of the Dead Photography Expedition. Please contact me to hold your place! This entry was posted in Cultural Commentary, Photography and tagged blogsherpa, Mexico, Oaxaca, photography. Bookmark the permalink. I am looking for a 1/2 day walking guide to take me to the best places to photograph at dusk . I will be in Oaxaca for 5 days at the end of July. Can you refer me to a photographer ? The Red Quinciniera is a great picture. I think you should submit it to magazines. Beautiful work. Hi, Mom. Thanks so much for your comment AND for referring Debbie and her husband Doug to the workshop! I loved getting to know them. I’m thinking of doing an armchair Day of the Dead photography show at DO for all the elders when I come in December and have invited Debbie to join me in the presentation! We will present all the group photos we took during our week together. Can you arrange this? Wonderful, Norma! Love your use of shadows. Rachel, thanks so much! When are you coming to Oaxaca? Let’s organize a textile workshop together.